Nebraska football fans have been relishing the second week of spring practice, getting a little fix of Husker football before having to settle in for a long summer. 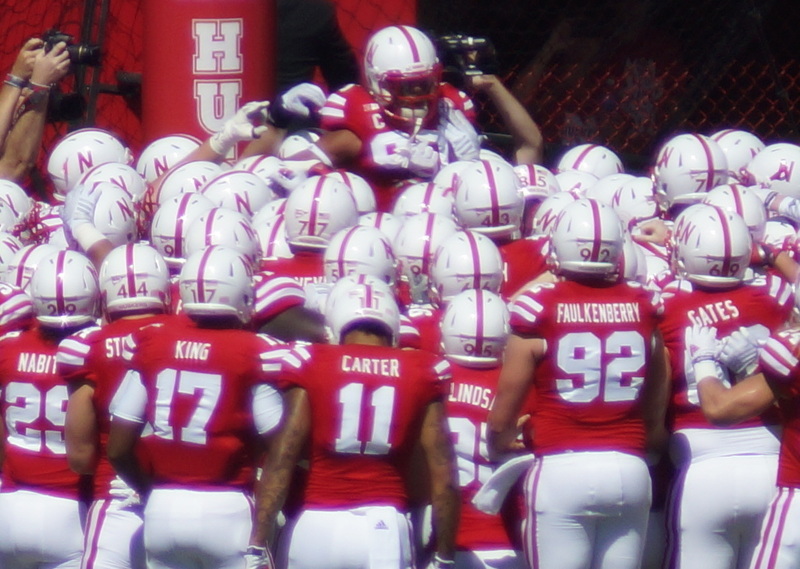 Before the Spring Game on April 11, Nebraska fans will be soaking up as much information as they can get about how the team is performing under new head coach Mike Riley, and what they can expect next season. Here are a few stock-up, stock-down reports on what we’ve learned so far. Sure, we don’t quite know what Nebraska’s offense will look like under Riley’s tutelage. We don’t know how much of the pro-style offense Riley will import from Corvallis to Lincoln. But based on an article by Brent Wagner of the Lincoln Journal-Star, we’ve got a pretty good idea that the deep pass will be a bigger part of Nebraska’s offensive arsenal. It’s looking more and more like part of Nebraska’s offense next year will involve taking shots down the field on a regular basis. BTN Spring Practice Tour Stop 3 #Huskers 3rd stop in a row where QB decision isn't clear. NU UM Neb. So an outside observer, a former coach, took a look at Nebraska’s spring practice and said the quarterback decision “isn’t clear.” That’s not exactly a ringing endorsement for Armstrong as a starter—or at least calls into question how close the others are to claiming the job. Defensive coordinator Mark Banker is bringing a number of new things to Nebraska’s defense. The scheme will be a “quarters” base, with more emphasis on three linebackers on the field. But more than scheme is an attitude, as can be seen from this excerpt of an article by Sam McKewon of the Omaha World-Herald. Take the first film session after spring’s opening practice. Linebacker Michael Rose-Ivey said his biggest mistake, on day one, wasn’t being undisciplined or forgetting a laundry list of “keys” to a given formation. He was too deliberate. Too slow. There will be plenty of time to digest the nuances of defensive changes Banker will make to the Blackshirts (not to mention the changes in how the physical black shirts are handed out). But the change in mindset as evidenced by Rose-Ivey’s comment—a focus on athleticism and instinct, an unleashing of potential—might be the most important change for Nebraska. Both Davie and Jackson are vying for a starting cornerback position in an increasingly-competitive defensive backfield. But injuries have kept them off the field, and Steven M. Sipple of the Lincoln Journal-Star noted that redshirt freshman Trai Mosely had three interceptions, including one returned for a touchdown. That’s pressure on players like Davie and Jackson who aren’t on the field to make their claim for playing time. Riley said that he’s seen dividends being paid from his decision to split the team into two units and practice each one separately. The goal of that decision—to avoid having a number of players standing around watching during practice—seems to be reaching fruition, as Riley was describing as quoted by Rich Kaipust of the Omaha World-Herald.